What has happened to the post of Home Secretary these days? Why has it become such a poisoned chalice? You would think a primary requirement for a Home Secretary might be intellectual rigour combined with an ability to stand up to the stridencies of the more extreme wings of the party in power. Instead, not long ago, Labour had the fiasco of Jacqui Smith in the post. And now the Tories have Theresa May. I watched the Tories airing their views during this year’s Party Conference with mingled astonishment and disappointment at the gibberish originating from several Cabinet Ministers in the present coalition government. None of the speeches was impressive – and David Cameron, not at his best, failed to carry conviction. But the big joke of the conference was Theresa May. 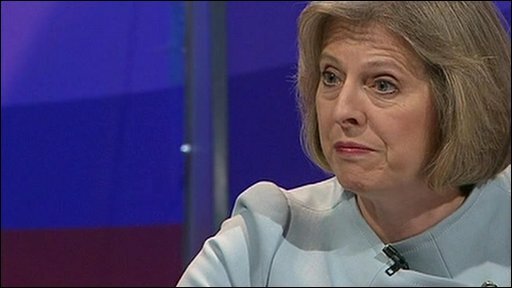 The focus of the Home Secretary’s speech was the Human Rights Act, which she claimed was bad for the country and ripe for scrapping, taking her examples of its misworkings from the cases of criminals of foreign origin whom Britain has been unable to deport. This was to place the blame on the legislation itself, and not where it truly belongs: on its interpretation by the judiciary, where it is some of our esteemed judges who give the impression of needing education. But, dramatically, Mrs May then came out with the notoriously stupid example of a Bolivian man escaping deportation simply because he owned a pet cat, which was said to be evidence of a family tie. Theresa May had certainly played to the lowest common denominators of the Tory gallery – and got their hoots of laughter – but, believe it or not, when the furore and derision that the story elicited broke in the outside world Downing Street moved to support the truth of it. How are we to take our politicians with any measure of seriousness when they make such fools of themselves in so ridiculous a manner? Only the veteran politician Kenneth Clarke has taken issue with the Home Secretary, saying she had made ‘a parody’ of a court ruling and declaring the pet cat story to be complete nonsense. Moreover, it seemed she was using it to try and put pressure on the work of the commission currently looking into human rights legislation to see how it might be improved or replaced. The reward for Mr Clarke’s common sense is to have stirred up a gale of speculation about his future in the Cabinet, with suggestions being made that he’s in line to be axed at David Cameron’s next reshuffle in the New Year. If such speculations do come to pass, then the hopes of a future Conservative administration are doomed to failure – for how can we find any party electable if it proposes to demolish something as important as human rights legislation with a story about a cat? The fall of Mr Clarke would also infer that trivial gimmicks are acceptable in serious debate, despite their silliness, and will prove to the public that politics and politicians in Britain are in a downward trend from which they do not seem even to have a wish to extract themselves. If we are to retain our dignity as a nation, then our present coalition government, with its mixed balances of checks and responsibilities, should certainly not follow in the path of the shambolic Labour government that it replaced. The Conservative Party Conference for 2011 offered little reassurance in this respect, having offered up ‘Catgate’ as the theme by which it will be best remembered. The so-called nation’s sweetheart Cheryl Cole is seen holding a bottle of champagne in one hand and giving a one-fingered salute with the other. I am not in the least bit surprised. What do you expect from somebody who married that lout Ashley Cole, then divorced him for repeatedly cheating on her and – despite all this – still yearns for him. The ladylike image she creates is obviously a fake one. Deep down she is no better than the company she keeps. The spirit of the late Mrs Whitehouse is frowning down on us again. The BBC has received a number of complaints about the skimpy dress outfits worn by many of the female contestants on Strictly Come Dancing. These spoilsports are by nature hypocritical, for deep down the problem has to be that they are titillated by the sight of beautiful young people displaying exquisitely toned bodies. In other words, it’s the old puritanical streak coming back on line. They should try going to Argentina to watch the equivalent show there, called Dancing for a Dream. According to a report in the Sun, it recently stunned viewers with a routine from a model and her partner dressed in skimpy Roman outfits which they shed as part of their presentation, culminating in an unscripted touch as the model unintentionally lost her knickers. The Argentinian TV watchdogs are on the case, they will be reassured to know. It was in fact a raunchy but pleasantly dramatic moment, as the pictures of it show. But a discreet word of warning should go to our participants in the UK original: the less you wear the more you must ensure that your knickers don’t let you down in the middle of a twirl. You’ll only be handing a lot of stupid fodder to the minority of viewers who would like to censor our pleasures. I’m delighted Amanda Knox and her Italian boyfriend have been freed. The prosecution’s case was deeply flawed, and needed a meticulous examination by an independent judicial body to give it any thread of credibility. On the other hand, the victim’s family sadly seems to have waged a campaign to discredit Amanda – when the evidence against her was far from conclusive and beyond any reasonable doubt. That said, nothing of course justifies the brutal murder of Meredith, which to all purposes is a grave and senseless tragedy.